NSF to PST conversion can migrate your Lotus Notes files and mailboxes to Outlook just by converting your NSF File into importable PST file. This converter exports the mail items of NSF file, which includes your contacts, emails, notes, attachments, calendar etc. The technical version of this software enables you to save your converted file in RTF, Office 365, HTML and PDF formats. 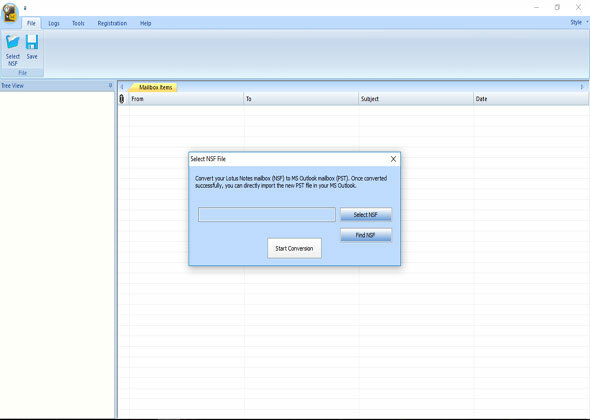 1 Performing Your Lotus Notes transfer to Outlook Conversion? 1.3 Lotus Notes to MS Outlook Converter – How This Works? Performing Your Lotus Notes transfer to Outlook Conversion? One can very easily access the NSF files in the MS Outlook just by converting this to the PST file format. By using the professional Converter. By using the Import and Export manual method. Can confuse the non-technical users. Can’t migrate huge Lotus Notes data. 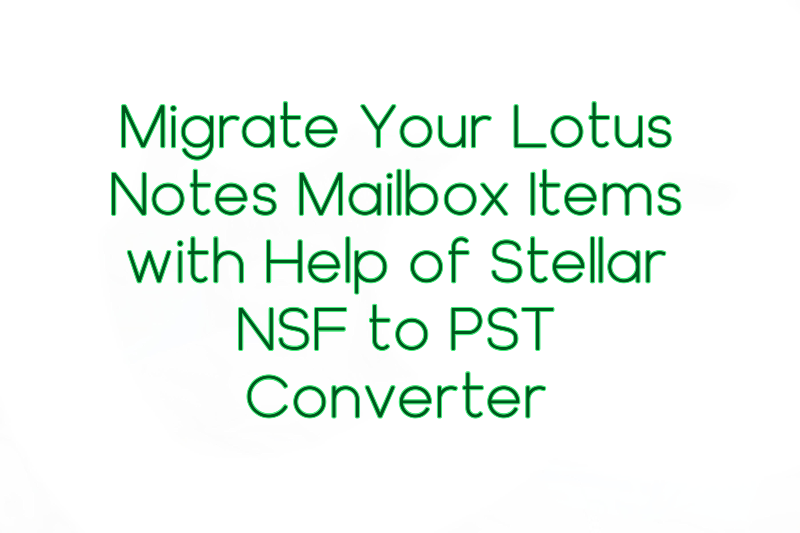 NSF to PST Stellar converter can convert the Lotus Notes file to Outlook format with no data loss. The Stellar NSF and PST Converter is the proficient utility, which facilitates the reliable and quick export of all the NSF file objects at the desired PST file. This software creates the identical folder structure like in a Lotus Notes database as well as displays the preview of the converted emails or other items, which includes ‘Contacts’, ‘Calendar’, ‘Personal Journal’ ‘To Do List’ and more. With the Stellar conversion, you can Convert NSF to PST, and you also have an option to create the new PST file to save your converted email items or you can append all the data to the current PST file. In addition, to keep the individual mail items, one can save this as the separate ‘MSG’ and ‘EML’ files at the desired location or later import the files in Outlook. Converts big NSF file with no data loss. Converts the Lotus Notes file to Outlook PST file, which can then be imported in MS Outlook. 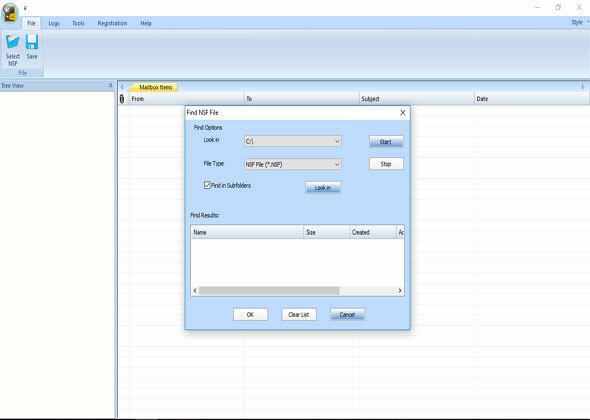 Enables you to find the NSF files in the specific folder and hard drive. Selective conversion of the NSF file objects. Compatible with the MS-Office 2003, 2007, 2010, 2013, 2016. Compatible with the ‘Lotus Notes’ all versions. Preview of contacts, emails, journals, calendars, and more. Option to save the converted file in the Office 365, EML, MSG, PDF, RTF, and HTML Format. Considering the benefits that Outlook provides over Notes and keeping challenges of the traditional migration methods in mind, organizations often can find themselves in the soup. However, there is the solution that will put a complete end to these troubles and perform the Lotus Notes files migration to MS Outlook is a very safe, cost-effective and quick way. And the answer is the Stellar Converter. Stellar NSF to PST facilitates the simple easy export mechanism of attachments, emails, calendar, contacts, journals, and more from the Lotus Notes file and the subsequent conversion to MS Outlook data file. This software comes totally laced with the interactive GUI and improved scanning & conversion mechanisms that achieve the migration in a very efficient way. With the support for the selective conversion of the mailbox items, multiple Notes versions, as well as compatibility with different Outlook versions, the product is undoubtedly an ultimate solution for any migration troubles. Also, it is quite affordable and makes it one highly cost-effective choice. Advanced Technician version offers some additional features such as an ability to save the converted data in other formats as well as detailed report generation. Also, its demo version allows you to convert over 10 items every folder free. Repair successfully & converts in PST file format. Faster and quite a flexible conversion mechanism. Availability of the free demo edition. Wrap up with the interactive app that makes it very. Not removes any technical glitches. It takes more time for the larger OST files. Lotus Notes to MS Outlook Converter – How This Works? 1. First, download & install Stellar NSF to PST conversion on the local machine. And launch this on your system so you can see an initial screen of this software. 2. Click on Browse button and select NSF file that you would like to migrate and then locate NSF file & click on Open button. 3. You can start the conversion process after choosing the correct file. Stellar Converter is one very amazing and handy tool for anybody who wants to migrate their files from Lotus to Outlook. Any company or a person who wants to switch from the Lotus Notes to MS Outlook may successfully migrate the files using this simple tool. An individual with an administrative right of Lotus Notes may convert the NSF files in equivalent PST files. The most common case when the Lotus Notes users have to migrate their files and mailboxes to the Exchange Server will be when an organization is changing from the Lotus Notes to Outlook. There can be many more reasons for migrating from Lotus to Outlook, but resolution lies in the Stellar converter that converts the whole data from the NSF format to the PST format with the touch of perfection. As PST format is MS Outlook compatible, and you can very easily access your emails or other components like Contacts, Attachments, or Calendar entries and more. When using this software, one can choose any desired items present in their mailbox. When you have selected those items, you may either convert it individually or one time to the PST format. But, there’re the situations when there’s the need to save your converted mailbox items in the different format. This software allows you to choose your converted mail items and save it in the different formats. There’re many NSF to PST converter accessible on the internet that is much better than any other manual migration methods, but they are not very proficient and full-proof as the Stellar Converter. Thus, if you are in need of the safe and risk-less, trouble-free, fast, and wizard-style Notes migration to MS Outlook, just trust only Stellar NSF to PST converter.